"There are not enough positive things I can say about Throw the Confetti. Michelle went over and above to make sure our wedding day was the best one ever. With her there I didn't have to worry about a thing and we were able to enjoy our wedding. If anything went wrong I never new about it! I would highly recommend Throw the Confetti for any wedding or event." "These girls genuinely want your party to be just the way you dreamed it to be!! Couldn't be happier!! 100% recommended!!" "Lara did an amazing job coordinating my reception- thank you so incredibly much for making sure the evening ran perfectly. I don't know what I would have done without her help those last few weeks (and days of forecasts with impending 60 mph gusts and rain). Highly recommend!" "I've seen both these ladies in action and you can not go wrong with them. They're very professional and fun! You're event will be amazing!" 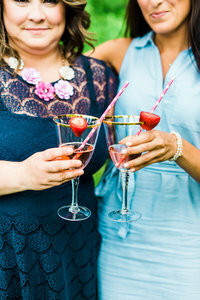 "I really enjoyed working with Lara for my wedding in May. Her attention to detail, patience and positive attitude really helped bring the day together. She thought of things I never would have, and provided really thoughtful answers to my many questions. She's cool as a cucumber under pressure and superbly organized - a true pro!" "You guys are amazing! We can't thank you enough for helping keep everything on track and for everything you both did! You both really are amazing and a great team to work with! Thank you also for our sweet gift! That was a nice surprise this morning :). Thank you and really love you both for everything!" "Lara and Michelle were absolutely incredible to work with! Throughout the entire wedding planning process, they were organized and directive, yet flexible and open-minded, as well as full of joy and excitement for us. As I told them numerous times leading up to the day - every single time I got off the phone with them or ended a meeting, I would INSTANTLY feel a sense of calm knowing they had everything under control. Perhaps even more importantly, however, was what Lara and Michelle provided the day of our wedding- things could not have gone more smoothly- our timeline, layout, etc. was absolutely flawless because of their coordination, attention to detail and work all of the days leading up to as well as the day of the wedding. I don't think I will ever be able to say enough wonderful things about these two women. Thank you both so incredibly much - not only did we love you, but so did everyone that got to meet and work with you (parents, bridesmaids, groomsmen, guests)." "These ladies are the BEST. Hands down. They both have been working in this field for quite a while and it shows. I would have lost my sanity without them. It was by far the best investment in our wedding and I would hire them again in a heart beat. Highly responsive, immensely professional and go above and beyond to make the whole planning process/wedding as smooth as possible." "Love Love Love Michelle and Lara! They were so sweet and responsive and knowledgeable! Their services started way in advance and they really took a lot off my plate the last weeks leading up until the day so my husband and I could really enjoy it!! And we definitely did!! If you’re looking for wedding planners/day of coordinators that are on top of it, kind and already connected with vendors, definitely get these two!!" "Hands down the best wedding planners! So thankful we found out about Lara and Michelle! They are a great team and helped our vision come to life from start to finish! Not to mention they are both super sweet and approachable!" "Michelle & Lara are very professional and are a pleasure to work with. In all events we have worked with them they have been very insightful, creative & flexible. They are true wedding veterans and are highly recommended." "I have worked for at least 10 years with Michelle and at least 5 years with Lara on weddings. They are both wonderful to work with! 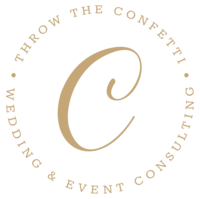 I would highly recommend "Throw the Confetti", they know the wedding and event business inside and out, and they will ensure that your event runs smoothly. 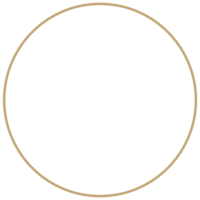 Both Michelle and Lara have lots of experience in managing events from start to end, and have an extensive group of vendors they have known for many of years, who will make your wedding or event absolutely worry free." "Love these gals and how much love, time, effort and energy they put into their events together!!" "Love these ladies! 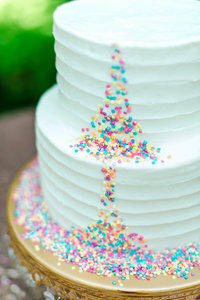 They infuse fun into your special day!"